I have just come back from a long weekend in Paris with my friend Kelly! It was an amazing trip and we got a lot done in the few days we were there, including a trip to Disneyland. 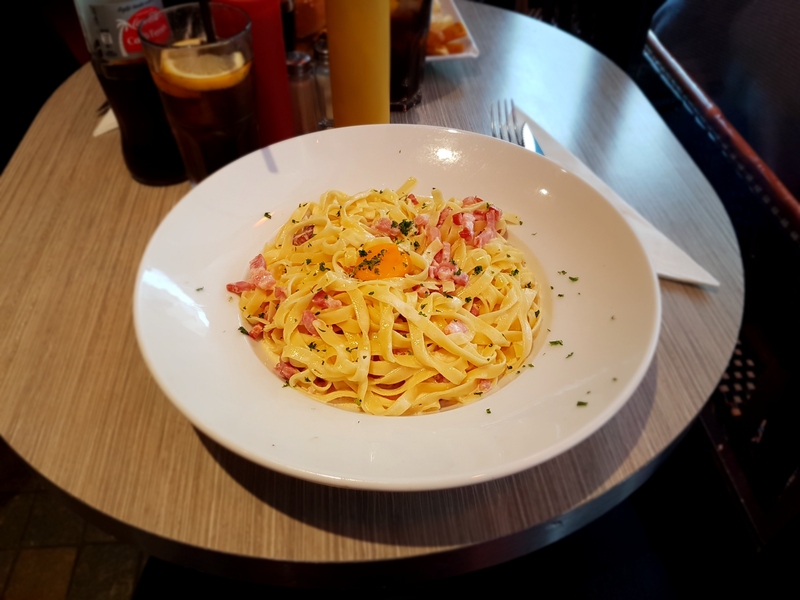 You can read about days 2, 3 and 4 here: Day 2 – , Day 3 – Disneyland Paris, Day 4 – . We flew with Easy Jet and stayed in the Ibis Paris Eiffel which, as the name suggests was near the Eiffel Tower. Our room was fairly basic but the location was perfect with a metro station, bakery, small supermarket and a few takeaways a short walk away. It was a big hotel with a lovely bar and lounging area, a small games room and a great luggage store. I packed lightly (we only had carry-on luggage) and tried to pick items that could be mixed and matched easily; I also packed an outfit specifically for Disneyland (below). After landing in the early afternoon and making our way through arrivals to the train station, we picked up a 5 day travel pass which could be used on trains, the metro and buses (they didn’t offer a 4 day one), and would also get us to Disneyland. It was a little over €65 but well worth the price as we used it frequently, we would have spent more than that buying individual journey tickets. The train journey from the airport to the hotel was about an hour. 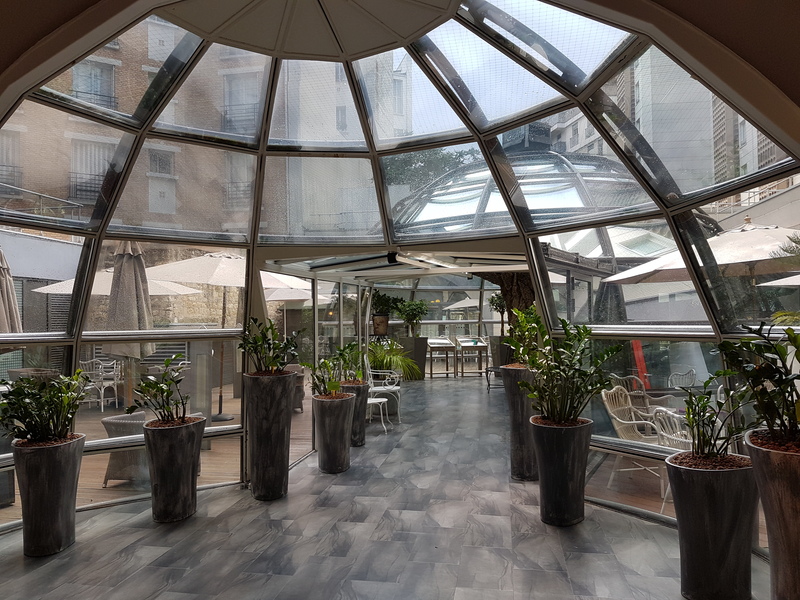 We arrived at the hotel and checked in, I asked (in my best French) if it was possible to have a room with a view of the Eiffel Tower, it was but there was an extra charge so we decided not to. I practiced a lot of French during our trip from ordering in restaurants to asking for directions. 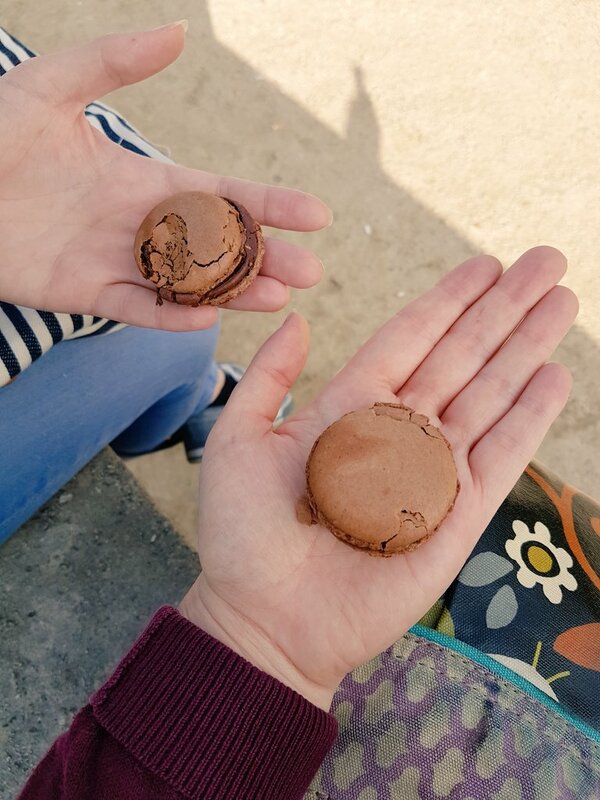 We freshened up and went to explore the area near our hotel, we found a lovely little cafe: Le Commerce Cafe where we stopped for some lunch and an Eric Kayser bakery which sold delicious macaroons! We purchased a couple and decided to walk towards the Eiffel Tower and River Seine. Watching Kelly first see the Eiffel Tower appear through the trees was great, I could tell how excited she was to see it. It’s a stunning structure and we promised to see it at night at least once during our trip. It lights up every hour at night. We stopped to take some a lot of photos and found a lovely spot by the river to eat our macaroons, Kelly also had a Nutella crepe. After a long, tiring day travelling and commuting we decided to get an early night and had a few drinks in our hotels bar.